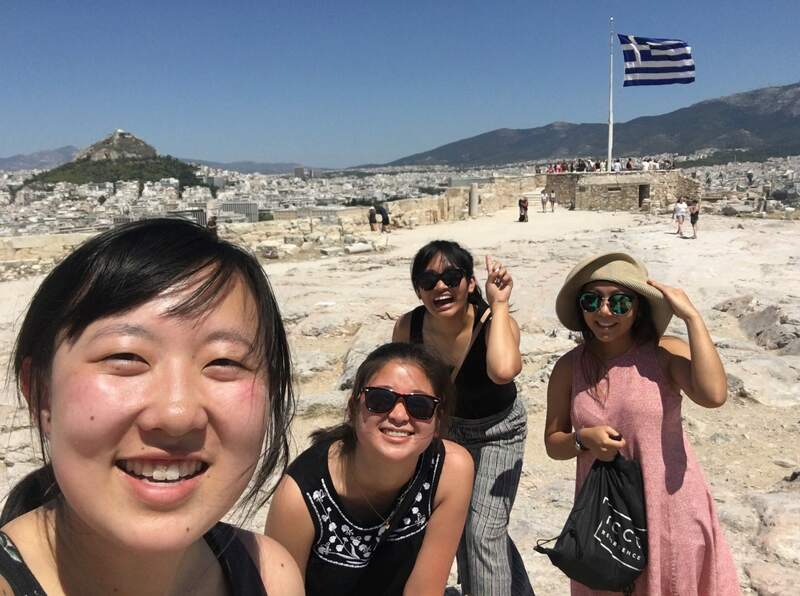 This is the first Greece Missions trip update of a series by Crystal Hsieh, Rebecca Suh, Vanessa Lam and Sharon Tang. Stay tuned for the next update! 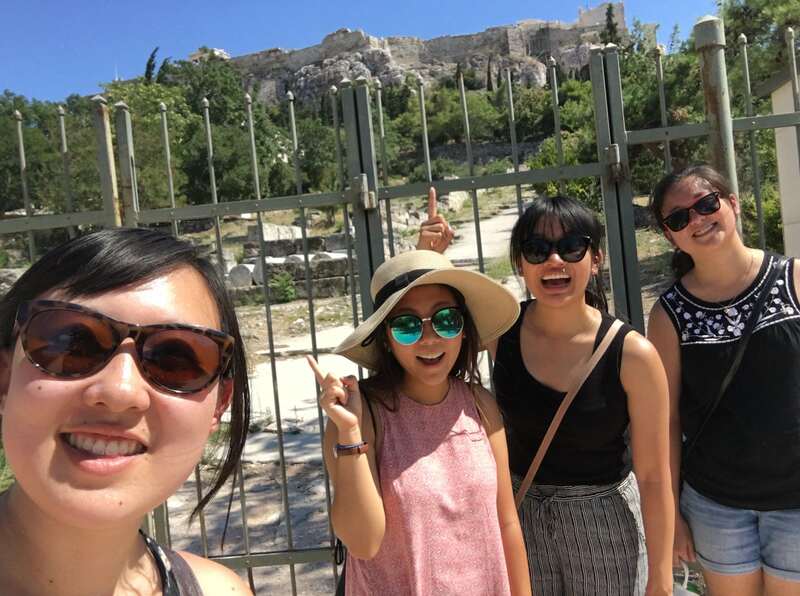 We safely arrived in Athens around 9pm last night and went straight to our hotel. 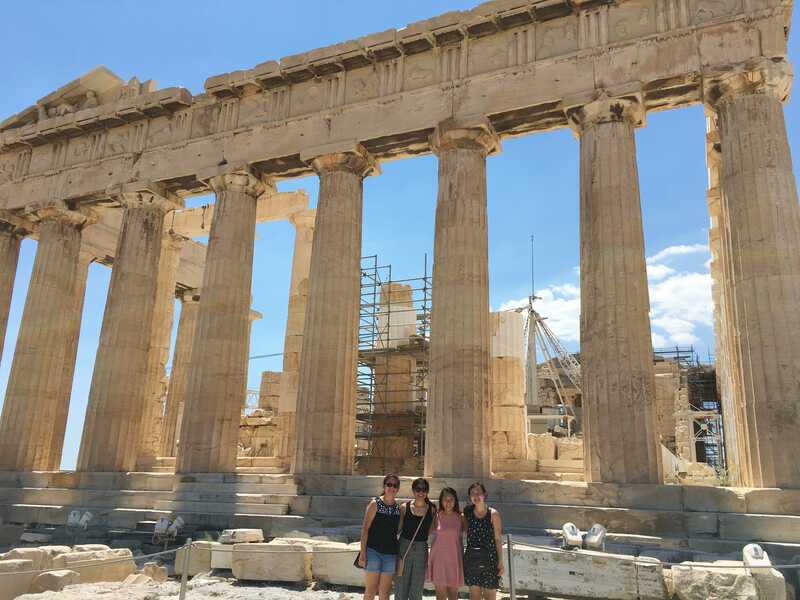 Thank you to all who kept us in your prayers, as there were no logistical issues, from the flight to the warm welcome we got when we arrived in Athens. God, as always, was faithful. 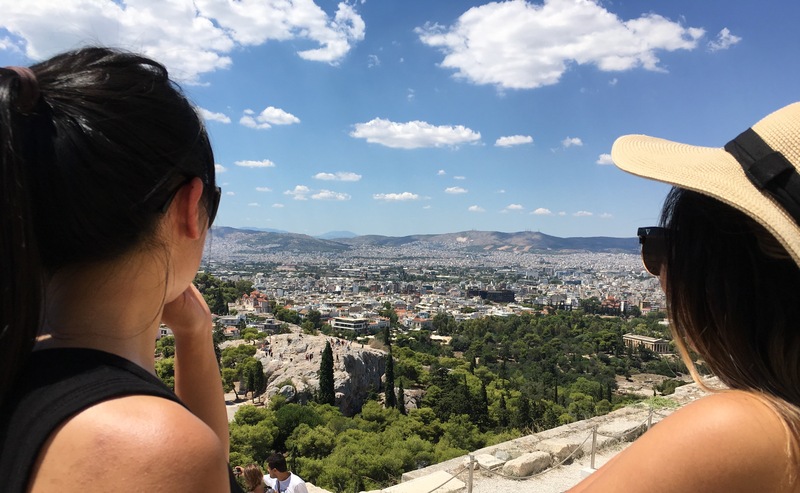 Sunday morning, we all planned to attend Omonia Church, where we will be serving refugees this week, but two of our team members unfortunately did not wake up in time (lol oops). 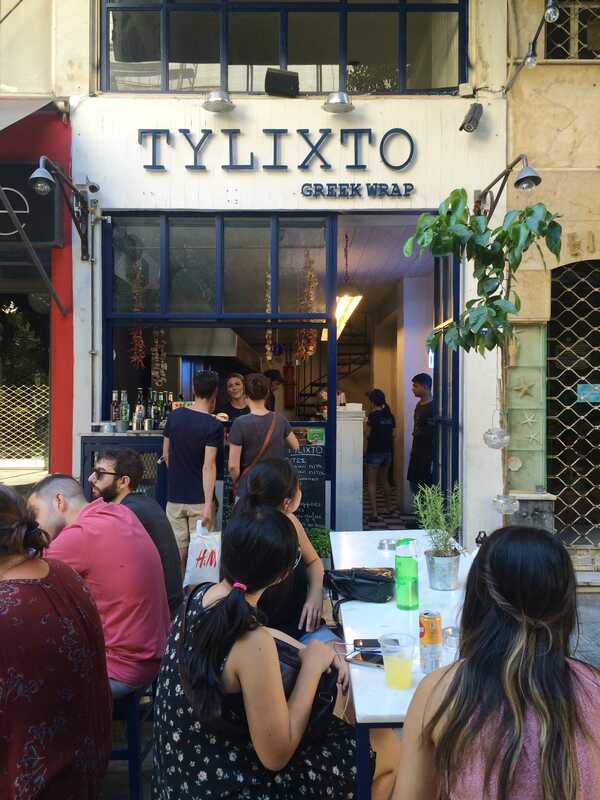 The Omonia family gave us a warm welcome in hugs and kind words. The church was made up of a lot of different nationalities, like Russian and Filipino. It was such an encouragement to see this congregation love each other as one body, despite being from over 8 different countries and speaking almost as many different languages. 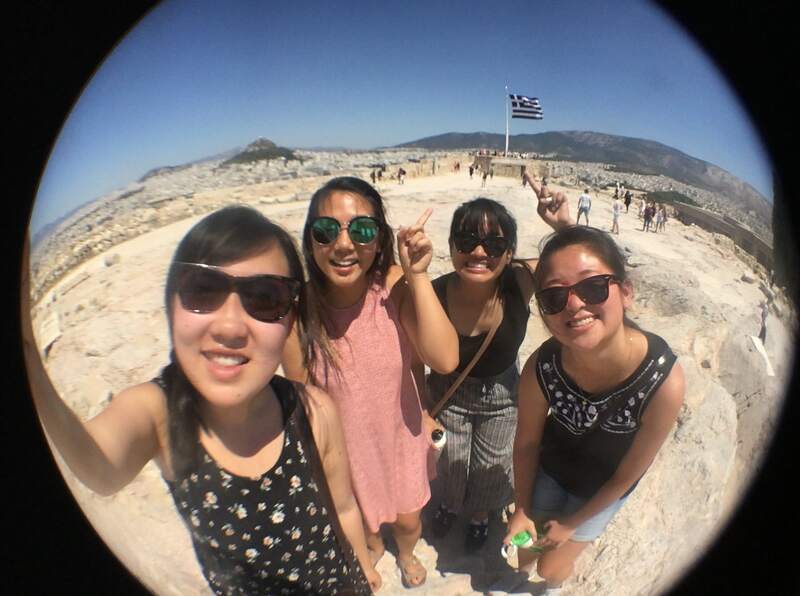 ​Take 2: Successfully pointed at Greece flag! Thank you again for your partnership with us and the gospel! We are so thankful for you all! !